We are proud to use only the best products available when providing services to our valued customers. Experience the difference by using the fine products we use everyday and make available for purchase. 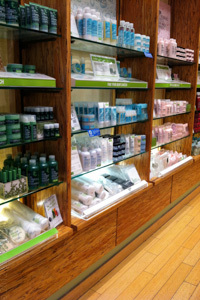 Let our staff of specialists help you select the best hair products to support your color, cut, and style at home. 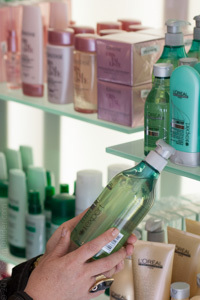 Pureology haircare products are formulated with AntiFade Conplex for colour preserving. Pureology hair care does not use harsh sulfates that strip colour. Pureology extends the life and vibrancy of hair colour. High performance solutions for your hair. With Redken For Men you can thicken, moisturize and bring back lost vitality. The result is hair with style that stays in control, and color that takes gray undercover. Take on life.... we'll take on your hair. Whether you're after a new look, personal haircare advice or an ideal way to create the styles that make you shine, Schwarzkopf's professional haircare products and our personalized style advice put the salon results within your reach at home.